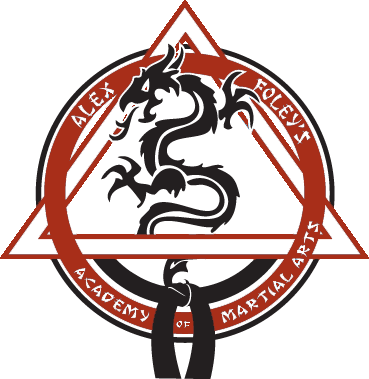 The Foley Family has five academies in the province, and has been doing Martial Arts for over 30 years! Whether it’s getting back in shape, or performing at the highest caliber of competition we can get you there. So come on out and become a part of the Foley Team!!! The fourth in the family to take up Martial Arts as a lifestyle and career choice. Alex grew up in Spaniard’s Bay, Newfoundland, with his four brothers. Quickly learning that he had a passion for the Martial Arts, he started training with his father Mike Sr. and brother Mike Jr, doing Kenpo Karate in the local school gym. Alex excelled at the “sport” side of Karate winning numerous tournaments for both sparring and Kata, including his first of many, 1st place medals in the Junior Black Belt division, competing as a twelve year old green belt in the annual “Battle on the Rock” competition, hosted by Foley’s Martial Arts. This was a prestigious competition that would draw over 400 competitors and spectators from Martial Arts Schools all over. Alex traveled to Florida in 2001 with his family, and Team Canada for the Disney Wide World Of Sports Martial Arts competition where he competed at the Junior Black Belt level. He earned a third place medal in Point Fighting and another third place finish in Continuous Kickboxing. Alex embraced the sport of Jiu Jitsu in 2007 with his brothers under Master Pedro Sauer, an 8th Degree Black belt under Rickson and Helio Gracie. He quickly found this art to be something he loved just as much as Karate, and found himself training with the same passion he had when he was a little boy, after just putting on his first Karate GI. In 2009, Alex obtained his blue belt in the Pedro Sauer Association from Professor Luis Heredia, a 5th Degree Black Belt, also under Rickson Gracie. Since then, he has taken part in some amazing seminars with Master Sauer and the extremely skilled black belts in his association. Alex has had many job opportunities over the years. From working in a pet store to serving in the Military, he has taken something from each of his jobs that he can apply to the world of Martial Arts. Alex has full intentions to make a career out of his passion for teaching children and adults; his true calling lies here without a doubt. He hopes to instill confidence in his students, and to teach them to become better and more active members of society. Alex has recently returned from a trip in Brazil in which he studied under Master Pedro Sauer as well as with Master Rickson Gracie. Alex also recently achieved the rank of Third Degree Black belt under Mike Foley Sr.
Alex plans to fulfill his life in the Martial Arts world by running a successful Academy, becoming a Black Belt in Gracie Jiu-Jitsu, and furthering his Kickboxing repertoire. He sincerely hopes that by accomplishing these goals he may be able to help some of his students and friends to find happiness and fulfillment their lives, as he has found through the Martial Arts lifestyle. Mike Foley has over 34 years of involvement in martial arts as a student, competitor, teacher and promoter. He opened his first school in 1978 in his home town of Spaniard’s Bay. In 1982, he placed first at the National Kenpo Championships in Montreal in the Black Belt division. Mike has now over 30 years of experience as a black belt and to date, Mike has taught over 40,000 classes and has promoted over 100 students to the black belt. 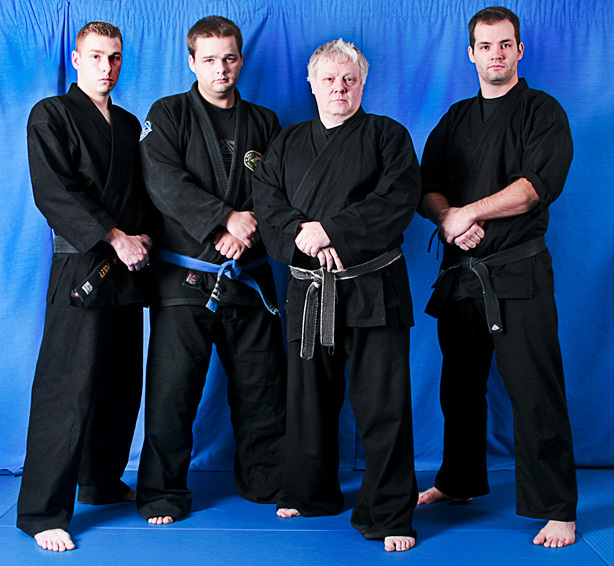 Founder of Mike Foley’s Kenpo Karate and Owner/Operator of Foley’s Martial Arts, together with four of his sons, Jason, Michael, Daniel and Alex, this martial arts family operates five of the largest schools and academy’s in Newfoundland. Together they teach classes in Kenpo Karate, Kickboxing, Low Kick Thai Boxing, and Gracie Jiu Jitsu. Mike Foley Sr. began training in Kenpo Karate in January of 1976 at Memorial University under the instruction of Peter Walker. Prior to that he was an athlete in high school who played just about every sport available, some well, some not so well, he doesn’t mind admitting. In 1976 he started in his true calling, the martial arts, and has been active ever since then. In 1977-1978 after training intensively in Montreal he moved from yellow through brown belt in 6 months, spending 30 hours a week on the floor. From 1978-1991 he competed in over a hundred karate competitions and placed 1st-2nd or 3rd in 75 of those, 5 in the brown belt division and 70 in the Black belt arena. He placed first in Black Belt fighting at the Kenpo Nationals in Montreal. In addition there were a number of second and third place finishes nationally in events packed with 30-40 other Black Belts. Over the years four of the students he has taught have reached the pinnacle of their sport with gold medals won at the world championships. At this time Mr. Foley is very busy helping four of his sons establish themselves as teachers and leaders in the NL martial arts community. Each of them have their own schools and are teaching in St Johns, Kelligrews ,Spaniards Bay and Goulds. With a schedule that has averaged 1200-1500 classes a year (30-35 per week) its estimated that Mr. Foley has taught somewhere in the neighbourhood of 40,000 classes over the years. His true calling and what he still loves to do is teaching martial arts, and teaching children is what he loves doing most of all. Now in his early 50’s,one of Mike’s great passions is seeing his schools remain as successful as they have been so as to enable his grandchildren to continue in the Foley tradition. Strong, healthy, positive, caring young men and women who can make a difference in the lives of those around them through the Martial Arts. Jason along with his father and three brothers have five schools among them. Jason has twenty seven years of martial arts experience and teaches in Foxtrap (402 Conception Bay Highway). Jason’s mission is to instill in his students the ancient concepts of discipline, preparation, commitment and technical knowledge. Through these concepts, Jason’s aim is to deliver a clear personal victory through a martial arts lifestyle. A second generation martial artist with over 25 years experience as a practitioner, over 20 years experience as a competitor and over 15 years experience as an instructor and coach. Michael is a 5th degree black belt in Kenpo Karate, 4 stripe blue belt in Gracie Jiu Jitsu, nationally ranked in a number of martial arts. Michael has traveled across North America, as well as, to Greece, Thailand, South Africa and Brazil to compete and train. He is a long-time member of Canada’s national kickboxing team and is the current president of Kickboxing Newfoundland & Labrador, which is the official governing body of amateur kickboxing in the province. Daniel has committed himself to the continuous learning of several martial art systems and specialties and has become fully immersed in the Martial Arts lifestyle. In 2009, Daniel traveled to Brazil to train in Gracie Jiu Jitsu with Master Pedro Sauer and various other members and Black Belts of the Pedro Sauer Brazilian Jiu Jitsu Association. Daniel holds rank of Blue Belt under the PSBJJA and specializes in Personal Self Defense. Daniel also holds the rank of Blue Belt under his father in Kenpo Karate.